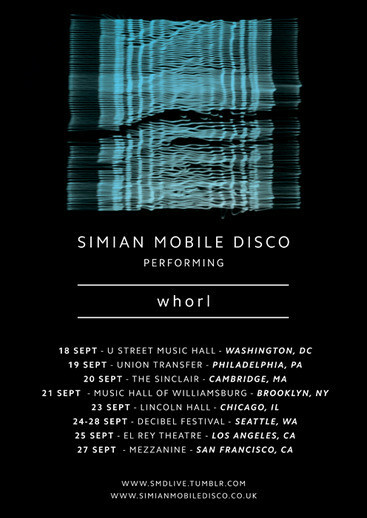 SMD recently announced that their new album 'Whorl' is available for streaming in its entirety on The New York Times website this week. The band also revealed that they will become XOYO in London’s fourth quarter residents of 2014, following on from Eats Everything, The 2 Bears and Jackmaster. The duo will take the mantle this October, bringing their Delicatessen curation to XOYO’s dancefloor. The pair will play 12 consecutive Saturdays across October, November and December curating a roster of supporting guests to close XOYO’s inaugural year of the residency series. Highlights include techno originators Kevin Saunderson and Juan Atkins on Saturday 18 October and Saturday 8 November respectively, Ghostly International’s Matthew Dear on 15 November, Crosstown Rebels head honcho Damian Lazarus closing November on Saturday 29th and Tensnake who’ll join them on their final outing. The curated series features several live performances, with Factory Floor on 11October, Rebuild, a live acid jam between A Guy Called Gerald and Graham Massey (of 808 State fame) on 15 November, Canadian producer Mathew Jonson performs on Saturday 6 December and SMD themselves who are set to present ‘Whorl’ in all its synth glory on Saturday 1 November. Check their forthcoming tour dates below. 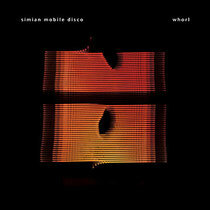 To listen to the album, click HERE. It's appropriate time to make some plans for the future and it's time to be happy. I've read this post and if I could I want to suggest you few interesting things or suggestions. Perhaps you can write next articles referring to this article. I want to read more things about it!